Now, I always think I’ll like herbal tea, but it always tastes like watered down shampoo to me……I have to put in loads of sugar, which sort of defeats the point. I may try some more in the future…. 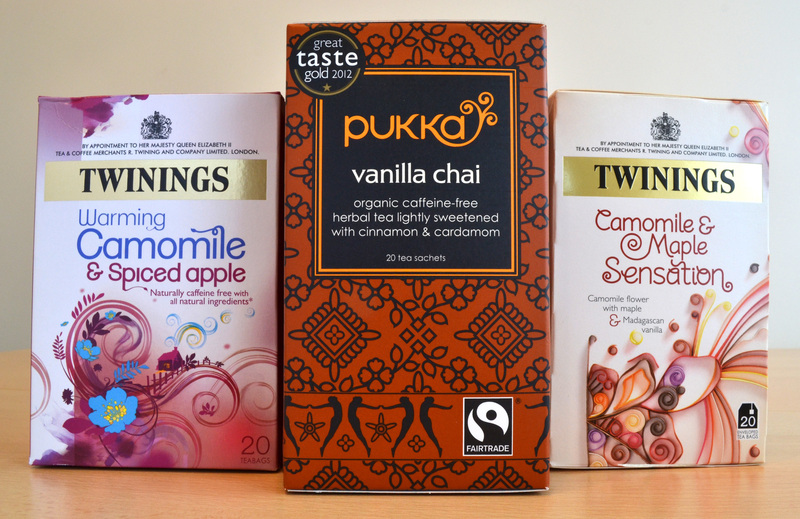 I’d definitely recommend the Chamomile & Maple one and the Vanilla Chai then – they’re both naturally quite sweet and the Chai really packs a punch flavour wise.